Everything Your Heart Desires! 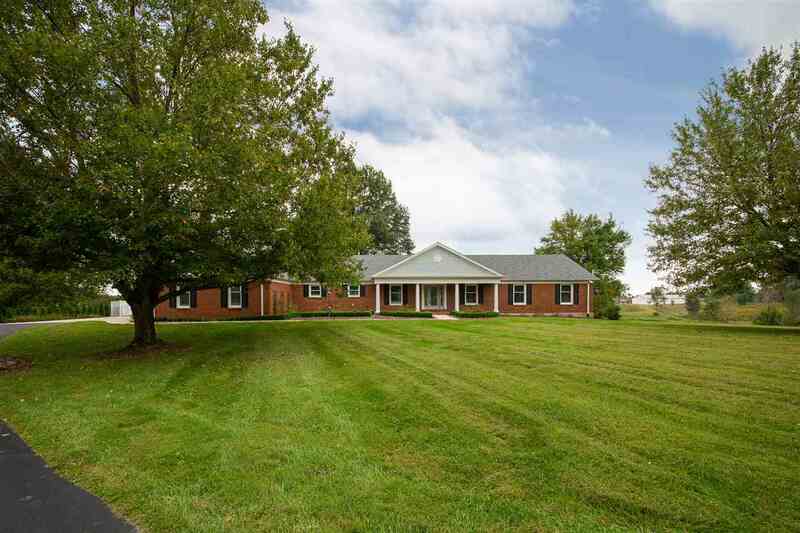 Luxury Appointments Meet Peaceful Country Living*Stunning Property Spanning 19 Acres*Expansive Fully Updated All Brick Ranch*Custom Granite Kitchen w/Induction Cooktop & Gorgeous Hardwoods*Hard To Find Oversized Rooms & Open Layout with 5,712 Sq Ft of Finished Space*Finished Walkout LL w/Impressive Bar*Oversized 3C Garage*In-Ground Pool*2 Acre Stocked Lake*5,000 Sq Ft Barn Accommodating Horses & Cattle*Mature Apple & Pear Trees*Total Privacy w/Gated Driveway & Only Minutes to I-75! Directions: I-71 South To Verona Exit; Left On Verona Mudlick Road; Left On Walton Verona Road; Home Is On The Right Past Connector Road.